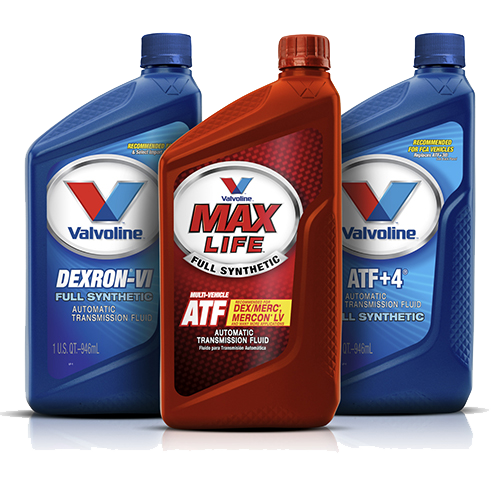 LEXINGTON, Ky., Feb. 6, 2019 /PRNewswire/ -- Valvoline Inc. (NYSE: VVV), a leading supplier of premium branded lubricants and automotive services, today reported financial results for its first fiscal quarter ended Dec. 31, 2018. 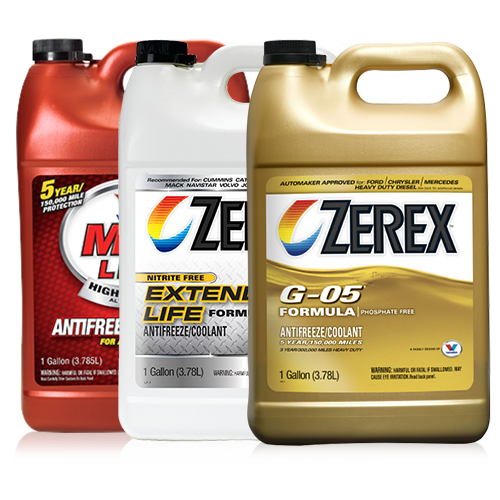 "We were pleased with the continued strong performance in Quick Lubes; however, overall results were below our expectations driven by weak performance in the Core North America retail channel," said Chief Executive Officer Sam Mitchell. "We are moving decisively to address the continuing challenges in Core North America through aggressive trade promotion and pricing optimization, and we are confident that we will see improving performance in the business throughout the balance of the year. In response to industry headwinds and evolving customer trends, we are implementing a broad-based restructuring program to create a more agile organization with an improved competitive cost profile. "We remain committed to driving long-term value to shareholders by maintaining a balanced capital allocation program and have increased our quarterly dividend by 42 percent to 10.6 cents per share." Reported first-quarter 2019 net income and EPS were $53 million and $0.28, respectively. These results included after-tax income of $2 million ($0.01 per diluted share), primarily related to pension and other post-employment benefit (OPEB) impacts. Reported first-quarter 2018 net loss and diluted loss per share were $10 million and $0.05, respectively. These results included a charge of $75 million ($0.37 per diluted share) related to U.S. tax reform, after-tax income of $7 million ($0.03 per diluted share) related to pension and OPEB impacts and an after-tax charge of $1 million (negligible EPS impact) of separation-related expenses. First-quarter 2019 adjusted net income and adjusted EPS were $51 million and $0.27, respectively, compared to adjusted net income of $59 million and adjusted EPS of $0.29 in the prior year period. (See Table 7 for reconciliation of adjusted net income and adjusted EPS.) First-quarter results were driven by the ongoing strength of SSS and store additions in Quick Lubes, which were more than offset by weak volume in Core North America's retail channel. These factors led to adjusted EBITDA of $101 million, a 6 percent decline compared to the prior year period. Effective Oct. 1, 2018, the company adopted the new revenue recognition accounting standard. The adoption resulted in a reclassification of certain items within the company's income statement and had a slightly favorable impact on first-quarter net earnings and no impact on cash flows. First-quarter 2019 results compared to the prior-year period include an approximate increase of $15 million to sales and cost of goods sold, as well as a decrease in SG&A of $2 million. Excluding these impacts, sales would have declined 1 percent, cost of goods sold would have increased 3 percent and SG&A would have been flat. The Quick Lubes operating segment had an exceptional start to the fiscal year and the company expects it will continue to be a key growth engine and focus of investment. The growth in SSS was the result of a balanced contribution from an increase in both transactions and average ticket. Marketing investments made in customer acquisition and retention programs continued to drive higher transactions. Pricing actions and premium mix led to higher average ticket. Sales and segment EBITDA growth were driven by increased SSS and the addition of 162 net new stores, as compared to the prior year. 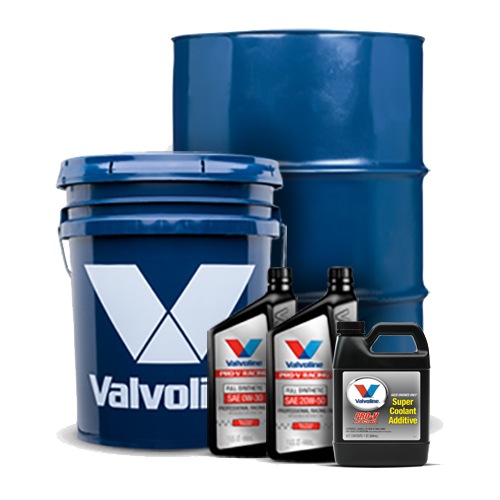 On Oct. 31, 2018, the company completed its acquisition of Oil Changers, Valvoline's second quick-lube acquisition in Canada. On Dec. 5, 2018, one of Valvoline's largest franchisees acquired a quick-lube system in southern California, continuing its expansion on the West Coast. The declines in lubricant volume and segment profitability were primarily due to lower DIY branded volume in the retail channel. Ongoing weakness in the broader retail automotive lubricant market compounded the impact of continuing competitive challenges, including increased competitive promotional activity and changes in retailer promotional and merchandising tactics. In the installer channel, volume was in line with the prior year, excluding the transfer of Great Canadian Oil Change product sales to the Quick Lube segment. In response to the current dynamics in DIY, the company is taking actions which it expects to stabilize the retail business in Core North America. In addition to a stronger consumer communications plan, the company is implementing a more aggressive trade promotion plan, which includes optimizing promoted price points at key retailers. During the quarter volumes were soft in most regions, especially in emerging markets. Year-over-year volume in Latin America declined due to the previously-discussed business model change in Brazil, which began in the prior-year period. Without this impact, volume in the International segment would have increased 1 percent, excluding unconsolidated joint ventures. International segment EBITDA was flat in the quarter, despite lower volume and an unfavorable net foreign exchange impact of $2 million, due primarily to lower operating expenses. The year-over-year increase in cash flow from operations of $65 million was primarily due to favorable changes in working capital. The company today announced a broad-based restructuring program to better meet the needs of an evolving market. The program is expected to reduce costs, simplify processes and ensure that the organization's structure and resource allocation are focused on key growth initiatives. The program is projected to generate annualized pre-tax savings of approximately $40 - $50 million with modest benefits expected this year. The majority of the savings will begin in fiscal 2020 with the full run-rate savings expected to be achieved by the end of that year. The company will record a pre-tax charge of approximately $12 - $17 million associated with this program. "We continue to recognize the importance of Core North America's cash generation to fund our growth objectives," Mitchell said. "The restructuring program announced today, in addition to the other actions we are implementing, are expected to drive more stable results in Core North America. "We anticipate Quick Lubes will continue its high level of performance, and we believe the decisive actions we're taking in Core North America will improve results throughout the year. In addition, we are taking actions to broadly improve cost efficiency and expect to benefit from a more favorable raw material cost environment. Based on the slow start to the year, we are lowering our EBITDA and EPS guidance." The fiscal 2019 outlook, provided in the table above, includes the impact of the company's adoption of new revenue recognition accounting guidance, effective as of Oct. 1, 2018. Valvoline will host a live audio webcast of its fiscal first-quarter 2019 conference call at 9 a.m. ET on Thursday, Feb. 7, 2019. 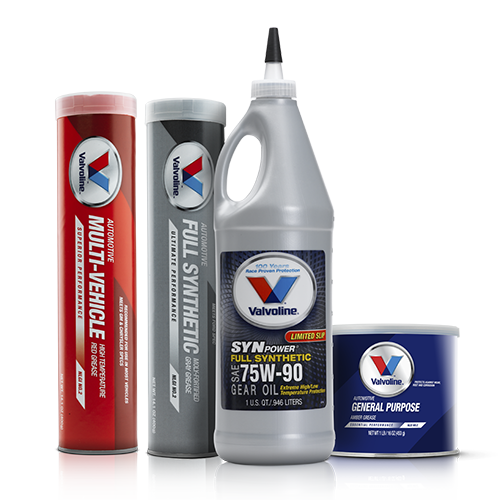 The webcast and supporting materials will be accessible through Valvoline's website at http://investors.valvoline.com. Following the live event, an archived version of the webcast and supporting materials will be available for 12 months. Certain prior-year amounts have been reclassified to conform to current-year presentation. In addition, the company adopted the new revenue recognition accounting standard, effective at the beginning of fiscal 2019, using the modified retrospective method; accordingly, Valvoline's consolidated and segment results for periods prior to this adoption were not adjusted. However, opening retained deficit was increased by $13 million, representing the cumulative effect of the changes, primarily related to the timing of certain sales made to distributors. These measures are not prepared in accordance with U.S. GAAP and contain management's best estimates of cost allocations and shared resource costs. 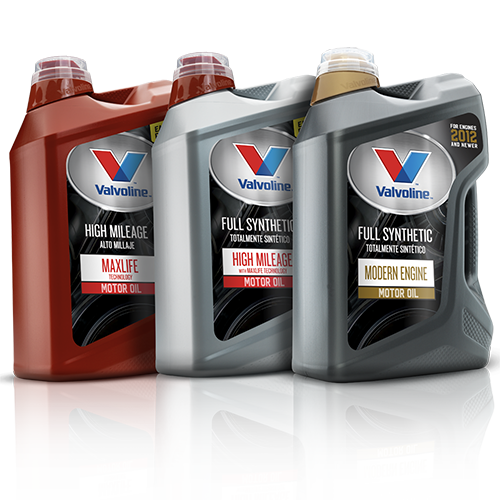 Management believes the use of non-GAAP measures on a consolidated and operating segment basis assists investors in understanding the ongoing operating performance of Valvoline's business by presenting comparable financial results between periods. The non-GAAP information provided is used by Valvoline's management and may not be comparable to similar measures disclosed by other companies, because of differing methods used by other companies in calculating EBITDA, Adjusted EBITDA, free cash flow, Adjusted net income, and Adjusted EPS. 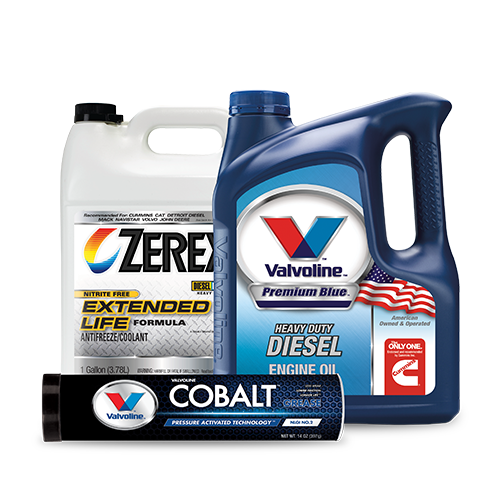 These non-GAAP measures provide a supplemental presentation of Valvoline's operating performance. (a) Unallocated and other includes pension and other postretirement plan non-service income and remeasurement adjustments, net legacy and separation-related expenses and certain other corporate costs not allocated to the operating segments. Enactment of U.S. tax reform resulted in $75 million of expense during the three months ended December 31, 2017, and included $71 million of income tax expense and $7 million of pre-tax expense recognized in Legacy and separation-related expenses, net, which was partially offset by a $3 million tax benefit included in the table above in income tax expense of adjustments. For the three months ended December 31, 2017, due to the reported net loss, potential common shares of approximately 1 million were excluded from the diluted share count because their effect would have been anti-dilutive. These potentially dilutive shares were included for the purpose of calculating adjusted diluted earnings per share for the three months ended December 31, 2017. (a) All key items were recorded in Unallocated and other. The table above reconciles Unallocated and other operating loss and relevant other items reported below operating loss to EBITDA and Adjusted EBITDA.